Another important way to stave off a cold is to eat nutritious and whole foods. Turn to food for amazing sources of vitamins and antioxidants to help stave off sickness. When most people think of the flu or colds, they immediately think of vitamin C and chicken soup. 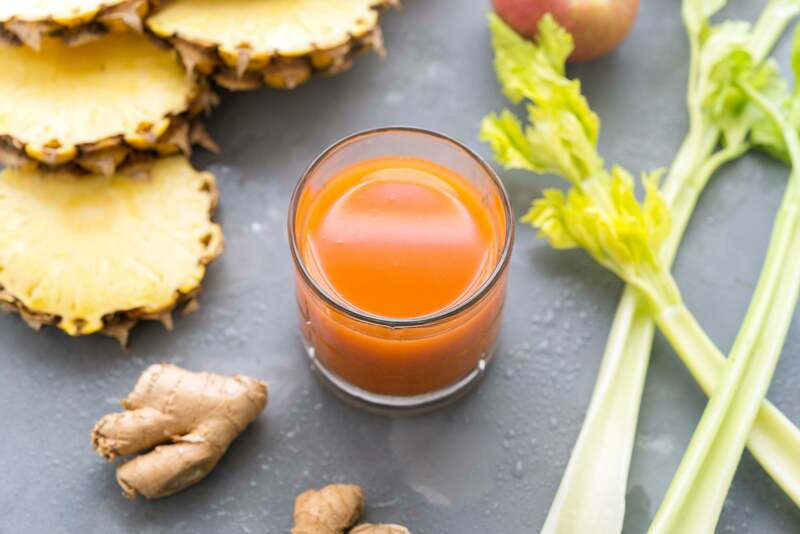 Those are great immune supporters, but there are also many other options of vitamins, minerals and antioxidants that work together to build a strong, well-functioning system. Studies have shown that we need vitamin C to increase brain function, recuperate from sickness and heal from injuries. It’s a powerful antioxidant that aids in neutralizing free radicals. Opt for dark leafy greens, Brussels sprouts, citrus, acerola cherry powder, and bell peppers among others to boost your C intake and supercharge your immune system. The medicinal value in raw is better, but cooked works too. It helps stimulate the immune system, flush out toxins, clean the digestive system and support better health. Also is great for the sinuses! You can add it to soups, broths, salad dressing, roasted veggies or just eat the clove raw and wash it down with an old remedy tea made from hot water, lemon, ginger, cayenne and honey. ZincIs involved in immune cell function, combatting inflammation, and may have properties to prevent the common cold from multiplying (meaning you can fight it off faster). Beans, legumes, whole grains, nuts and mushrooms are all good sources. Although usually associated with calming nausea, it actually contains powerful antiviral, antioxidant and anti-inflammatory effects to help to strengthen the immune system. Plus, it's soothing and calming properties promote circulation in the body. Make a delicious warm tea, chop it for stir fry, soup, or cold-pressed juice. Spice it up. Plus, get a list of potent health-promoting benefits: detoxifies, mega antiviral, antifungal and antibacterial properties to fight infections and inflammation. Golden turmeric milk is one of the most popular (and tasty) wellness trends this year, with good reason. It’s easy to make, tastes amazing, will help you sleep and is anti-inflammatory. Check out the recipe here to try it at home. Helps your body absorb calcium, oversees cell growth and proper immune system functioning. The biggest source of vitamin D comes from sunlight. During the winter our levels drop, unless you travel to another part of the world where it’s hot. There are some foods that help such as mushrooms, fortified soy and almond milk, tofu, and certain fish like salmon, tuna, mackerel. If you don’t want to get sick this season, keep your immune system protected by taking extra care of yourself. And, you can get a strong foundation to fight off sickness from food. Here are a few immunity supporting dishes and juices from Veestro for a jumpstart: golden chickpea stew, power of the tropics juice, keep the doctor away, tomato lentil soup and more.